Chaats always have an extra space even when when my tummy is full. 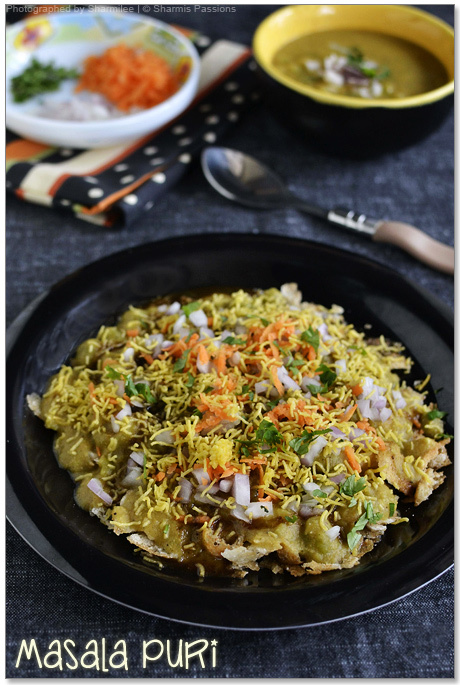 I have tasted masala puri in many places like SKS, A2B etc but the one I love is the street style so I searched for a similar recipe and am glad I found this. I didnt have marathi moggu so used star anise instead though it is not the actual equivalent. The above quantity is for making 2 plates. 1.Dry roast all the spices for 3mins till nice aroma comes. 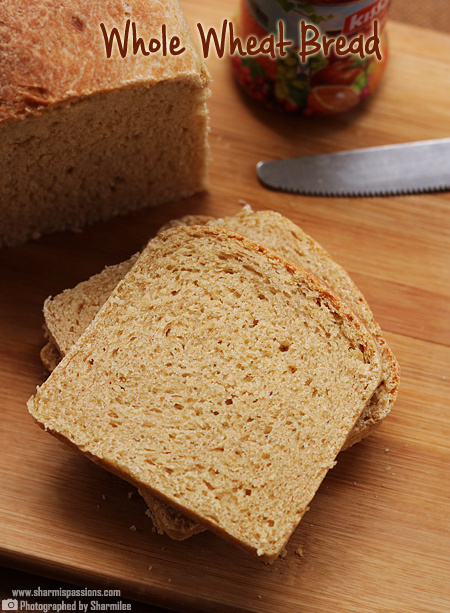 Grind it along with coconut and red chilli powder to a fine paste. 2.Pressure cook peas for 3 to 4 whistles or until soft, Pressure cook toor dhal for 4 whistles with immersing level of water , smash it up so that it is fine. Transfer toor dhal to a heavy bottomed container and heat it up. 3.Add coconut paste to it and allow it to boil for a good 5mins(add water if it is too thick). Add required salt. Then transfer the cooked peas and give a quick stir. 4.Simmer and allow it to boil and thicken to the desired consistency.The gravy should not be too thick or too thin. It should be semi liquid. Now in the serving plate take 5 -6 puris and crush them. 5.Add peas masala, then drizzle sweet and green chutney. Add onions, carrot and sev as topping. Finally garnish with coriander leaves. Once assembled serve immediately when the gravy is still hot and the puris are crispy. The toppings can be adjusted as per your taste. Make sure to serve while the gravy is still hot to enjoy the taste. I used homemade puris, you can use store bought ones too. 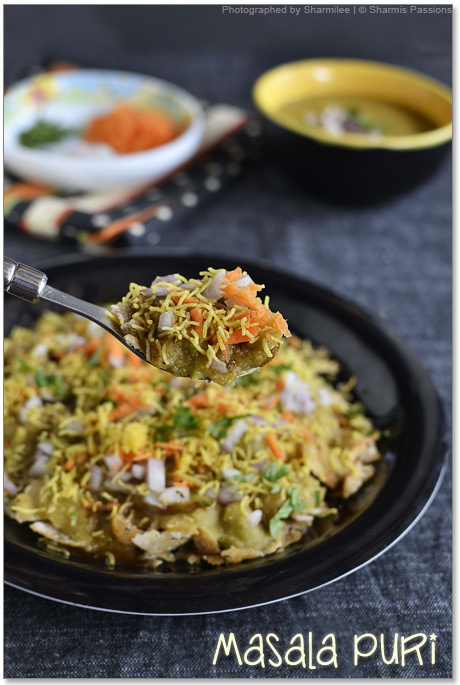 I am always game for chaat items.. Love this masala puri.. 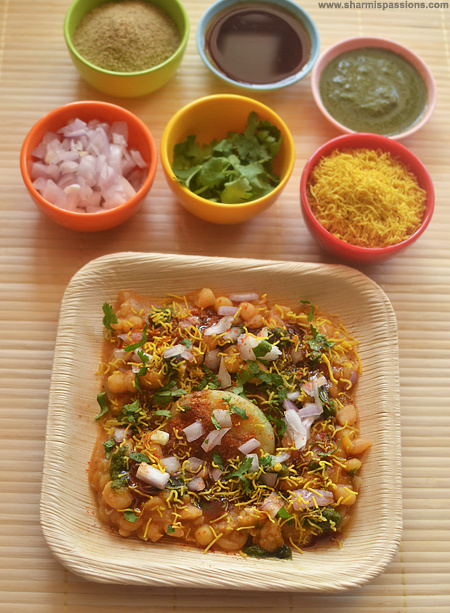 But its been ages since I have had this..
Yummy yummy chaat is welcome any time of the day!! 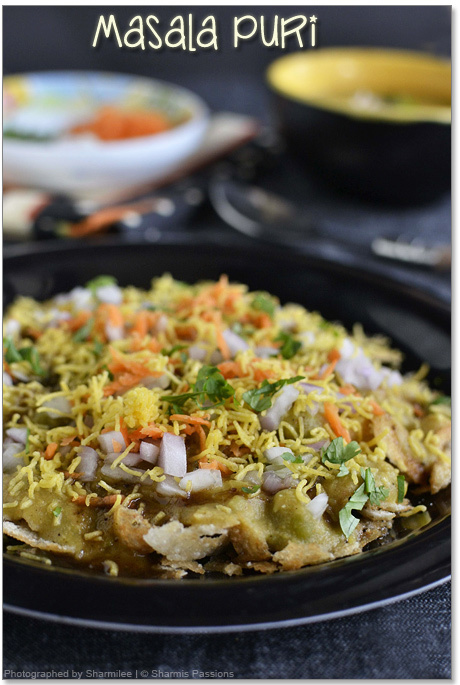 Chaat looks super delicious…yummm…with beautiful clicks.. This is so tempting… love your pictures! wow, its awesome. feel like grabbing the plate. though iam in blore i've not tastes street chats.. will try this @ home..
Cant take my eyes off the pictures!!! Awesome Clicks! Wish to finish that whole plate rite now,irresistible chaat. Sounds delicious and inviting,looks yummy…. This is one chaat that I have not heard of. Bookmarked. 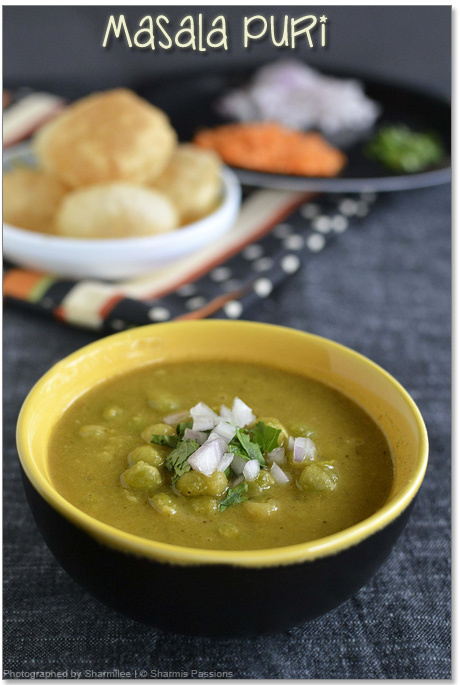 Is the half cup of peas and toor dal after boiling or before? 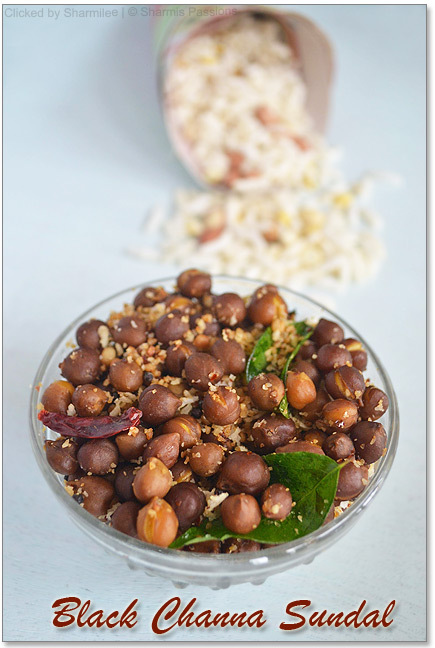 Please clarify..planning to make this awesome recipe..thanks in advance..
@Suchi : Add peas once the coconut mixture is added and raw smell leaves and starts boiling. Thank you sooooooo much! 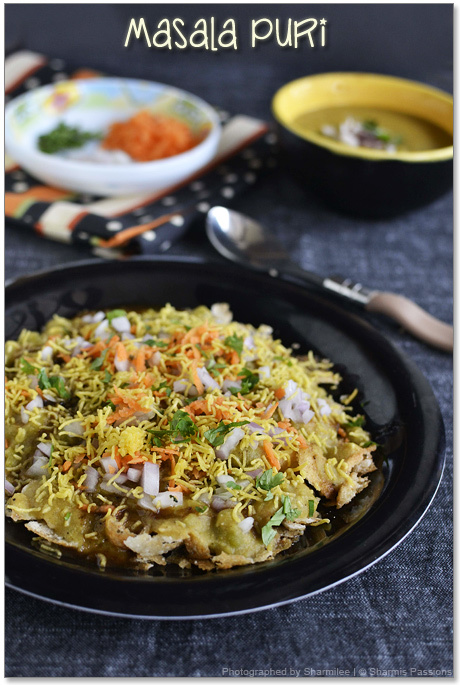 Masala Puri is my husband's fav chaat and I have tried so many recipes and none of them gave the authentic taste! yours did wonders! thank you!!!! i love the green masala puri. cant wait to try and see if it tastes like bangalorean mp. just now my mom prepared it. This is authentic roadside gaadi masala puri that i have had in mysore. YUM. Thanks! lovely recipe sharmi..will try it soon..how abt adding mashed potatoes do they give any extra taste?? 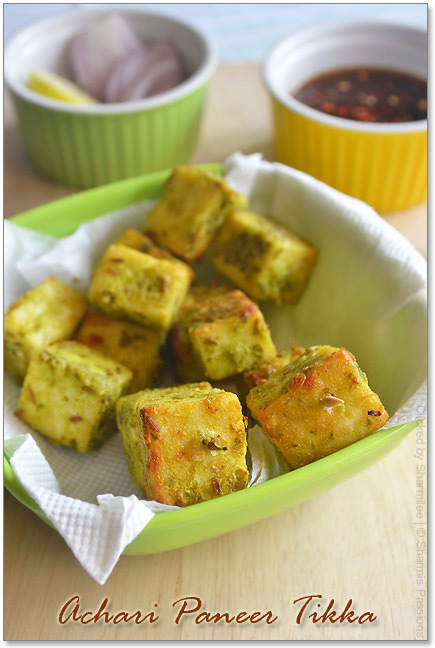 Yes you can add them, it will taste good only…..
Really a good and very easy receipe………. I will try this in weekend so that every body can make a taste of it. Really a easy and good receipe. i will try it in this weekend………. 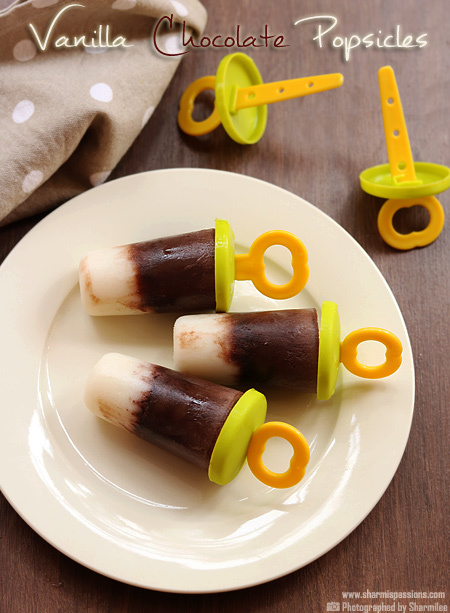 Awesome…… I tried this today and came out really well. Thanks a lot…..
Can we do this without using marathi moggu and nutmeg? How much aniseed did u replace for Marathi moggu? If white channa can be used instead of peas? This recipe I have tried and loved. It's perfect for those looking for the Bangalore street side flavor to homemade chats. Love it! I had a small clarification though..is the absence of tamarind in the ground masala intentional or can it be added ? I havent mentioned tamarind anywhere?! 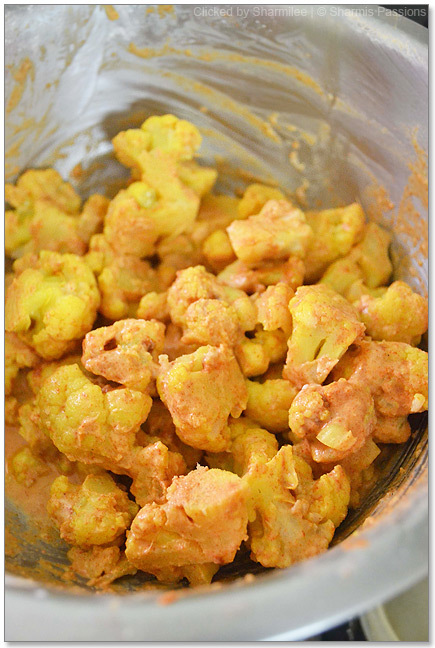 I tried this recipie yesterday and it tastes excatly like the masala puri I ate in Bangalore.